Each trellis panel is 6ft (1.8m) wide and then varying heights. The gap size is approximately 50mm (2′). This is the only style measured in a metric size, please use the imperial sizes as a guide. 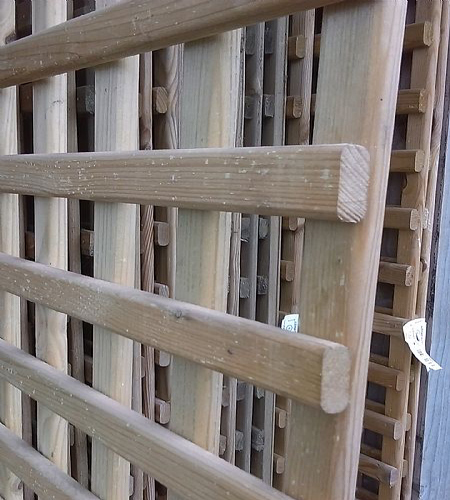 This trellis is made from a prepared (smooth) batten with rounded edges. This is a mid-weight trellis suitable for many applications.